Caption: Groupers are fish of any of a number of genera in the subfamily Epinephelinae of the family Serranidae, in the order Perciformes. Not all serranids are called groupers; the family also includes the sea basses. The common name grouper is usually given to fish in one of two large genera: Epinephelus and Mycteroperca. In addition, the species classified in the small genera Anyperidon, Cromileptes, Dermatolepis, Gracila, Saloptia and Triso are also called groupers. Fish classified in the genus Plectropomus are referred to as coralgroupers. These genera are all classified in the subfamily Epiphelinae. However, some of the hamlets (genus Alphestes), the hinds (genus Cephalopholis), the lyretails (genus Variola) and some other small genera (Gonioplectrus, Niphon, Paranthias) are also in this subfamily, and occasional species in other serranid genera have common names involving the word "grouper". 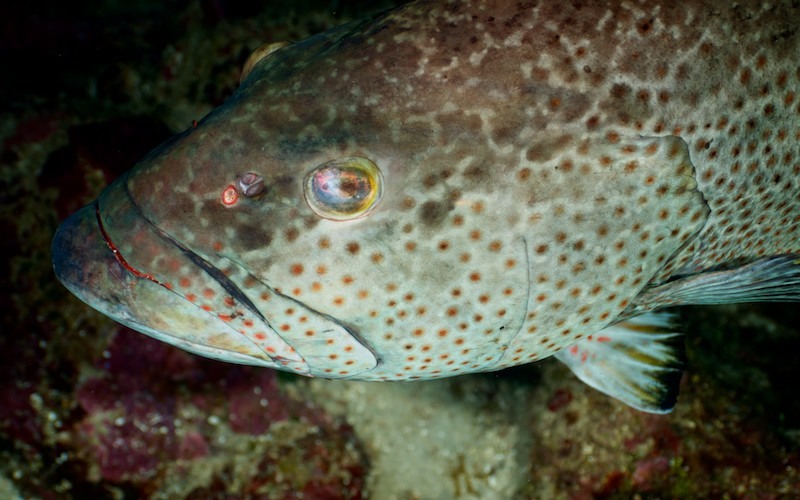 Nonetheless, the word "groupers" on its own is usually taken as meaning the subfamily Epinephelinae.